Dodd-Frank allows an employee (or any individual who has been subject to discrimination based on protected activity) to file a lawsuit directly in federal court. Significantly, the award of double back pay makes the Dodd-Frank anti-retaliation law an even more powerful tool than the Sarbanes-Oxley Act to protect whistleblowers who report fraud. Additionally, the statute of limitations is much longer than it is under Sarbanes-Oxley, allowing a claimant to file a lawsuit within 6 years after the illegal retaliation occurred (or 3 years after the date when the claimant knew or reasonably should have known of the facts supporting the claim). 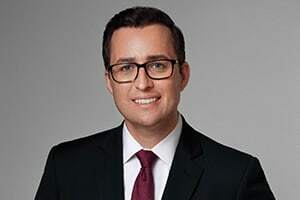 If you reside in or have been employed in New York or New Jersey and have a Dodd-Frank whistleblower retaliation claim, you can contact Attorney Eric Dinnocenzo at (212) 933-1675 for a free consultation.